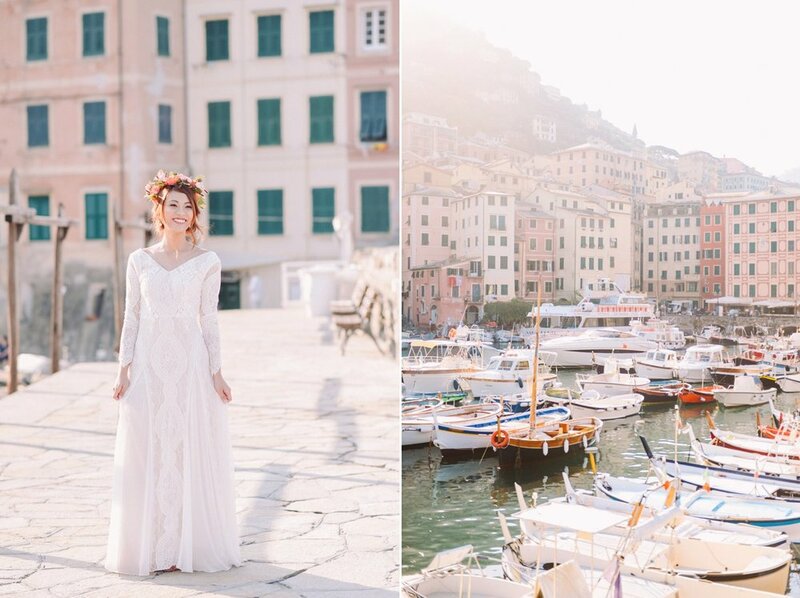 Imagine a quiet morning at dawn, in one of the most picturesque Italian seaside village. The silence, the warm sun, the fishermen coming back from work, and the cafés slowly opening up. Jocelyn and Basil accepted to wake up super early to enjoy all of this with us: to have the whole village for ourselves has been a privilege, and made us feel something magic in the air. 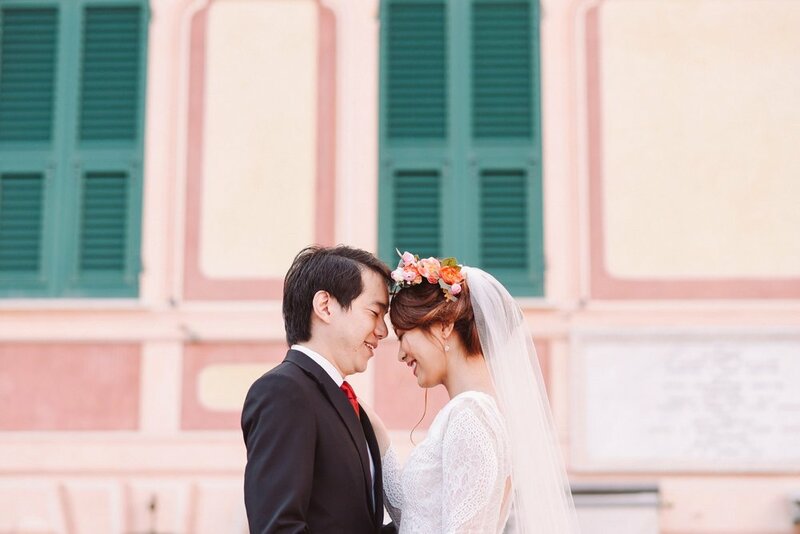 From Singapore to Camogli, this is a love story we loved to tell.